Cronos Group (NASDAQ: CRON) issued its fourth-quarter report before the market opened on Tuesday, but it seemed like the company did not want to highlight those results. The first reference to any financial numbers did not come until the 28th paragraph in Cronos Group's press release announcing its Q4 results. And that press didn't even include the company's net loss for the quarter. You had to go to page 18 or Cronos Group's regulatory filing to find that it lost 11.8 million Canadian dollars in Q4. While it might have required a little digging, we know that Cronos Group's Q4 revenue soared (up 248% to CA $ 5.6 million) and its bottom line deteriorated because of major spending increases. 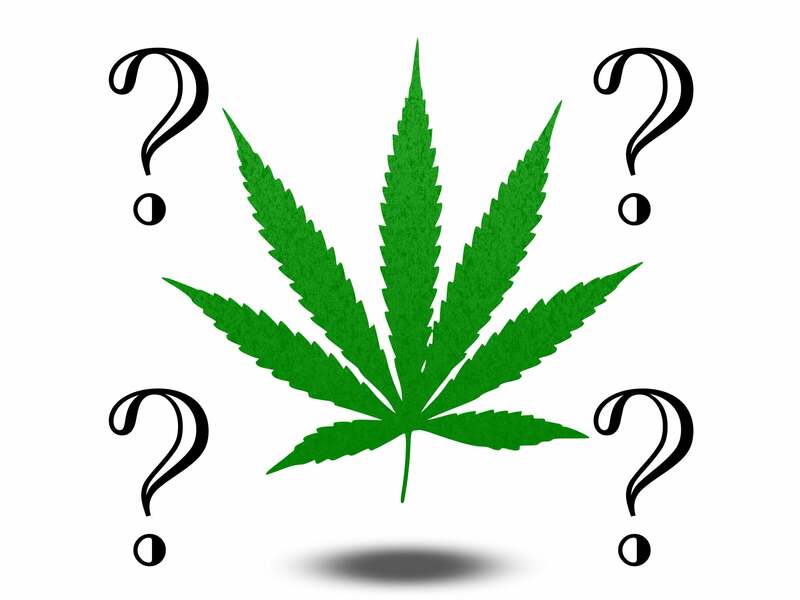 However, there are still four big questions for Cronos Group that remain unanswered.
. What additional moves will Cronos make to expand his production capacity? CEO Mike Gorenstein attempted to downplay the importance of production capacity to his success in Q4 conference call. He said that "our business model is not a farmer," and added that Cronos prefers making the cows rather than milking the cows. Of course, the problem in the cannabis industry right now, to use Gorenstein's analogy, is that is not enough to make all the cheese customers want. Sales for the major Canadian marijuana producers are constrained by their production capacity. That's why most of Cronos's peers highlight their ongoing efforts to boost production. Cronos can currently grow around 40,000 kilograms of cannabis on an annualized basis. The company's biggest initiative to increase its capacity is its Cronos GrowCo joint venture, which is expected to produce around 70,000 kilograms per year, but that added production will not be available until 2020.
also increase its capacity, but plans for the greenhouse have been finalized. When Cronos Group announced its partnership with Altria in December, it mentioned increasing production capacity as one of the key benefits of the deal . So far, though, it's unknown what additional moves the company might make to achieve that goal. 2. How much is the company selling in the recreational and international markets? Unsurprisingly, Cronos Group attributed much of its revenue growth in the fourth quarter to the Canadian adult-use recreational marijuana market. But the company did not provide any details on what its sales were in that market. Cronos also has a partnership with Pohl-Boskamp to distribute medical cannabis products in Germany. The company didn't reveal any details about its international sales for the fourth quarter, either. Why didn't Cronos provide the sales breakdowns for the recreational vs. medical markets in Canada and international sales? When directly asked about this in the Q4 conference call, Gorenstein replied that the company might provide more details in the future but would do so for now. Of the other largest Canadian marijuana producers by market cap, only Tilray did not disclose its recreational marijuana and international sales results. Gorenstein faced a question on this subject in the Q4 conference call, too. He first reminded listeners about Cronos Group's original strategy to enter the U.S. market when marijuana is legal at the federal level and then talked about how the passage of the farm bill in the U.S. would translate to new opportunities. Ultimately, though, Gorenstein revealed only that Cronos would closely watch the U.S. hemp market but wouldn't "telegraph our strategy." 4th Is it ready for the Canadian cannabis edibles market? Many investors eagerly await the opening of the Canadian market for cannabis edibles, beverages, and concentrates used in vaping, which is expected to happen in October 2019. Gorenstein was asked by an analyst during the conference call about the company's readiness to enter the cannabis edibles market later this year. His response: "We are hopeful." Gorenstein did go on to elaborate that the regulations were finalized and implemented out of Cronos Group's control, and noted that there are often delays when the new regulatory framework is rolled out quickly. Contrast that to Aurora Cannabis CEO Terry Booth, who stated recently that his company would be a first-mover in launching new products for the edibles market. Canopy Growth co-CEO Bruce Linton expressed similar confidence in his company's latest conference call, stating: "If it's legal, we'll have it." Their responses make Gorenstein's "hopeful" comment at least a little unsettling. While there are definitely several question marks for Cronos Group after its quarterly update, there is also at least one big exclamation point. The closing of the Altria investment in March gives rise to huge cash stockpile of around $ 1.8 billion, putting it in a strong position for the future. The company has already used some of the proceeds from the Altria deal to fully pay off its credit facility with the Canadian Imperial Bank of Commerce and the Bank of Montreal. Gorenstein said that Cronos Group's top two priorities are using newfound wealth from the Altria investment, "talent acquisition" and expanding product research and development through organic investment and external ventures.